The Sony RX100 VI becomes one of the most powerful pocket super-zooms to date and the travel camera to beat. It takes the 20 Megapixel / 1in sensor from its predecessor with its confident focusing, 4k video and high-speed bursts, but couples them with a much longer 24-200mm zoom giving it far greater compositional flexibility than the previous 24-70mm ranges. Crucially, unlike many pocket super-zooms, the RX100 VI really does deliver the goods in practice with a lens that’s surprisingly sharp throughout the range and across the frame right into the corners. Even zoomed into 200mm, where most rivals lose contrast and suffer from softness in the corners, the little Sony maintains very crisp details. Sure the RX100 VI range isn’t as long as the Lumix TZ200 / ZS200, but the Sony lens boasts a brighter aperture allowing you to deploy lower ISOs, and in my tests proved sharper, especially at the long-end. I really feel Sony’s done a great job on the RX100 VI optics, packing this degree of performance into a body that’s only 2mm thicker than the previous RX100 V. You can see how it performed long-term in my RX100 VI travel camera feature where I took it on a six week trip across Europe from Brighton to St Petersburg and back! Meanwhile the embedded phase-detect autofocus system lets the RX100 VI effortlessly track subjects approaching at speed, allowing you to capture active kids, pets, sports and wildlife. Again this is another area where many rivals fall down with focusing that may be fast for static subjects but often struggles with those moving at speed. It also works well for smooth adjustments while filming. The video may not have moved-on since the Mark V, but that still means you get to film great quality 4k at 24, 25 or 30p (albeit still in 5 minute clip lengths) with a very minor crop compared to the much tighter 4k crop on the Lumix TZ200 / ZS200. You also still get the High Frame Rate (HFR) modes and while I’m not sure how many people would actually use them, it’s remains fun and impressive to record video with up to a 40x slowdown with a compact. As before there’s a small but great quality OLED viewfinder which pops-out the body to save space, but the updated mechanism which allows it to pop-up and push-back in a convenient single motion is a genuine benefit over earlier models. I’m also delighted Sony has finally equipped the RX100 VI with a touchscreen – it only took six generations! – but remain frustrated you can’t do much beyond repositioning the AF area with it. Wrapping-up the physical upgrades, the presence of Bluetooth also now makes it a doddle to embed GPS positions via a paired smartphone, a seamless process that will delight the travellers it’s aimed at. So far so good, but the RX100 VI isn’t perfect. The longer lens range may be great for flexibility, but has resulted in two sacrifices over previous models. First is the removal of the built-in Neutral Density filter, which means it’s now harder to deploy motion-friendly shutter speeds for movies in daylight, or for making long exposure stills. Secondly the maximum aperture has reduced from f1.8-2.8 of the Marks III, IV and V to f2.8-4.5 here, which means the RX100 VI is at least one stop slower throughout their shared 24-70mm range. This in turn means having to use an ISO twice as high in low light for the same shutter speed, which means a reduction in quality compared to the previous versions. It also means there’s less chance to achieve shallow depth-of-field effects. As such I’d recommend dedicated vloggers stick with the Mark V with its built-in ND filter and brighter lens. As a side-note, there will be vloggers who may wonder if the RX100 V will be the last model to deploy a shorter but brighter zoom. Will all RX100’s going forward now have the longer but dimmer and ND-free lens of the VI? Personally speaking, I’d have loved to see a new RX100 with the V lens, but sporting other VI upgrades including the touchscreen, new viewfinder mechanism, S-Log 3 and Bluetooth connectivity. 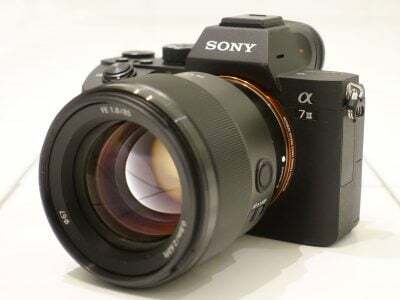 Perhaps Sony should split the line at this point, simultaneously offering two versions with all the new upgrades, but differentiated by their lenses? Interestingly Sony partly answered this by announcing the RX100 VA shortly after the VI, bringing a new processor, menus and some firmware updates to the V, but infuriatingly none of the other hardware upgrades. This mildly updated VA version has now replaced the original V model, so it’s the one to look out for when ordering. Returning to the Mark VI, I remain disappointed Sony hasn’t explored a way to connect an external microphone to the RX100 series, whether with a wired jack or a wireless Bluetooth solution. Amazingly none of its rivals offer an external microphone option either and whoever offers it first on a 1in compact will delight vloggers. 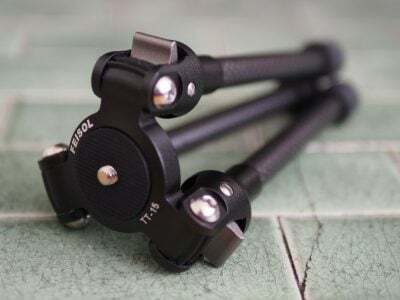 It further perplexes me that Sony introduced an optional mini tripod grip accessory with the Mark VI but failed to take the opportunity to equip it with a microphone input either. Then there’s the battery and heat-management, inherited entirely from earlier models. The RX100 VI’s battery is certainly fine for a good day’s worth of still photography, but you really notice its limitations when filming video. Set to 1080p, I managed 80 minute’s worth of video on a single charge, but after filming a half hour clip, the camera needed time to cool-down if you wanted a second clip of the same length. Set the RX100 VI to 4k and I managed about 50 minute’s worth of video on one charge, but in 4k the camera limits you to five minute clips and generally over-heats after three consecutive ones. To be fair, the same issues faced previous versions and the fact is a tiny camera with no heatsink will over-heat when working hard, but filming any project on the RX100 series, especially in 4k, will require an understanding of the camera’s limitations and how to work within them. 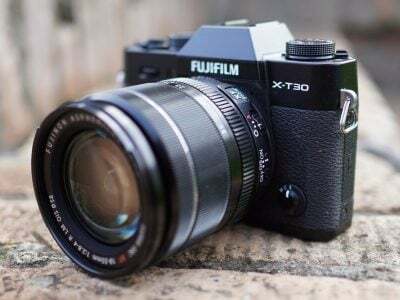 There’s also no getting away from the price which at 1200 bucks makes the Mark VI the first RX100 to break into four figures, putting it up against some very tempting – albeit larger – alternatives. But that’s the thing: how many pocket cameras can give you a respectably sharp 24-200mm zoom with great autofocus that can capture action at 24fps, coupled with good quality 4k video, 1000fps slow motion, a touchscreen and popup viewfinder? That’s the unique proposition of the RX100 VI but one you’ll need to dig deep to pay for. But again Sony’s keeping their earlier models on sale, so check carefully which features you need; you may find the Mark 5, 4 or even older ones may be sufficient. Again if you’ll mostly use the camera for vlogging, I’d go for the RX100 Mark VA, but if you want a do-it-all pocket camera that’s perfect for travel, the RX100 VI is triumphant and comes Highly Recommended. Check prices on the Sony RX100 VI at Amazon, B&H, Adorama, or Wex. Alternatively get yourself a copy of my In Camera book or treat me to a coffee! Thanks!